Cheap? Expensive? Are you sure that you are measuring each action you carry out precisely? Grab your calculator and read this. Calculating the costs of each channel and of each optional proposal with which you are continuously tempted with is essential to understand its profitability, comparing and making well-founded commercial decisions. The analysis that we propose is based on two premises: calculate the percentage and consider everything, astutely adding what is not usually evident. 1. How much does Booking.com cost? Booking.com commissions on your retail price and not only in your taxable base. If you sell at 110€ (100€ + VAT) and pay 15% commission, that will be 16.50€. You earn 110€ but 10€ of those are taxes that go to tax office and are not part of your income. In the end, you end up with just 100€ and 16.50€ of those are 16.5%. A few years ago, it wasn’t like this. It allowed hotels to show prices without VAT and it calculated the commission on that net price. When it began to demand final prices, VAT included, it started charging commission on that final price. In the end, it was a covert commission increase. Why were they still talking about “15%” as if nothing had changed? When the VAT rose in Spain, in practice this was also an increase in commission. Did anyone complain? If the IGIC (Canary Islands tax) is 8%, in practice hotels in the Canary Islands pay less commission than those in mainland Spain (10%). Pays on VAT, and why not on the tourist taxes of some territories?… I don’t want to give any ideas. It is not about charging “15%+VAT” like we often hear. No, their invoices do not have VAT because they are among European countries. It is an apparently clean VAT. Charging commission on taxes is a disgrace. Since it already does it (and nothing will change because of its dominant position), the hotel must at least be intelligent enough to re-calculate it internally and know about what numbers we are really talking about. Expedia also charges commission on taxes, so we should be talking about 24.2%. Also, in bookings with packages with 10% discount, your accumulated reduction of income will reach 34.2%. As an example, a hotel that sells 10,000€ on Expedia of which 7,000€ are complete price and 3,000€ are discounted-package prices, the average cost of Expedia is 2,520€, which is 27,2% commission. The numbers are like this: 8,000€ x 24.2% = 1,694€ plus 3,000€ x 34.2% = 1,026, which results in a total of 2,720€. Dividing it by 10,000€ of production, we get the average commission. 3. 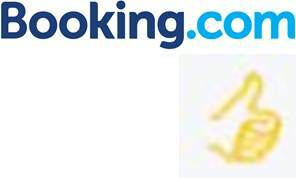 ¿How much does it cost to be Preferred with Booking.com? More precise answer: For the sale that you already had without being preferred, you don’t pay anything extra. For the new sale that being preferred, you pay between 20% and 60% commission. It all depends on the volume of new sales generated. Calculate it yourself. A hotel that sells 10,000€ + 10% VAT and its non-preferred commission is 16.5%, pays 1,650€ in commission. It decides to become “preferred”, and its commission rises to 18.7%. Let’s say that its sales increase to 12,000€ (20% more). Therefore, it pays 2,244€ in commission. For the new sale, 2,000€, it’s paying the difference, in other words, 594€. This means 29.7% of the cost for this new sale. Therefore, depending on the increase in sales that accessing the Preferred programme has meant, you will be paying one commission or another. Do your own calculations but you will probably be surprised. 4. And over-commissioning on Booking.com? Correct answer: The commission that you choose, taking into account once again that you will pay Booking.com for amounts that are going straight to the tax office. More precise answer: Just like in the Preferred programme, the cost on the sales that you already had does not change. However, the cost of the new sale generated by over-commissioning oscillates between 30% and 113%. A hotel that sells 10,000€ and its preferred commission is 18.7%, therefore pays 1,870€ in commission. For the new sale, 4,000€, it’s paying the difference, in other words 1,518€. This means 37,9%. 5. ¿How much does Booking Genius cost? 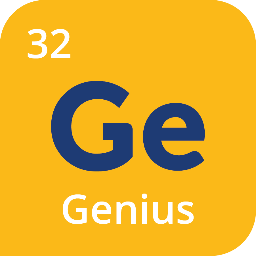 For non-Genius clients there is no increase in cost. They will pay normal commission. For Genius clients (both those who booked before at the hotel at a price without discount -cannibalisation- and those new ones who would not have booked at the hotel had it not been for Genius) the commission will be of 26,83% (18.7% for preferred + 10% discount in price). It would be of 24,8% were it not preferred. It increases sales by 20% but it has 10% cannibalisation at the same time. We could consider a third block, that we omit to simplify calculations: Clients that used to book through another channel (i.e. the official website) and that now book on Booking.com because they have an additional 10% discount. The damage is terrible because the cost shoots up. Every action of lowering price exclusively to a channel results in a large impact in sales on another channel (since most of them compete for the same clients). To see how the cost of Booking Genius changes, we need to evaluate 2 variables: degree of cannibalisation and real increase in sales. 6. How much does a channel with commission + fixed costs? Or commission + volume discount on sales? Usual answer: “The agreed commission”. Correct answer: The result of applying the fixed costs or volume discount to the sale and adding said percentage. For instance, a hotel that pays 20% and a fixed monthly rate of 400€. Let’s say that its yearly sales are of 80,000€. The total cost is therefore 20,800€, which on a sale of 80,000€ is a total of 25.5%. The less that your fixed-rate channels less, the larger your commission will be, in many cases reaching 30% or 25%. Because many times we just look at the commission cost, we do not realise this. The same calculation applies to the volume-discount channels over sales. 7. ¿How much does it cost to participate in a Groupon promotion? Correct answer: To the commission, you must add the considerable decrease in price that they ask in order to participate: 40%-50%? 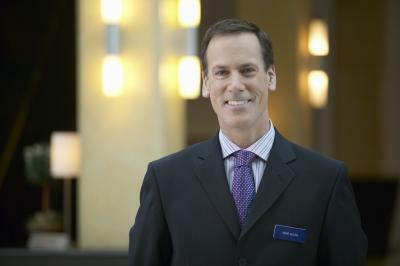 For instance, let’s have a hotel that decides to take part in a promotion. Its price is 100€ and they ask for 50% discount, in other words 50€. On top of that, they have to pay up 15% of all income. Therefore, the real cost of Groupon in this case rises to 65%. Let’s ignore once again the new cannibalisation sales effect that occurred in other channels at correct prices and that are done now through this channel without such elevated costs. 8. ¿How much does a merchant channel cost? Usual answer: “Nothing. I have no cost”. Correct answer: True, there is no variable cost but there is a cost in loss of opportunity of having been able to sell at a higher price and earning more. 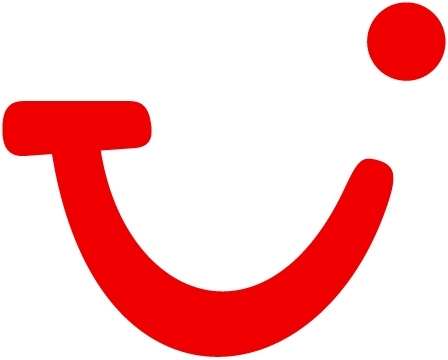 For instance, a hotel that sells 10,000€ through a channel like TUI with whom it works only with net rates. On those 10,000€ it has no costs. What the hotel does not look at or tries to quantify is how much TUI has earned with the revenue on these rates that you give as net. 9. How much do my corporate sales and sales via agencies cost? Correct answer: It depends on the volume of sales that this sales rep or agency generates. Let’s say that our hotel has a sales rep for companies with a gross salary of 20,000€, which results in 27,000€ approximately if we add costs such as social security. Let’s say that his/her work generates sales of 85,000€ for the hotel. The cost of the corporate channel is no other than 27,000€ divided into 85,000€, which is 31%. 10. And how much do the direct sales through my website cost? Correct answer: A lot more. The sum of all the costs associated to the direct sale divided by the production. For instance, let’s have a hotel that sells 200,000€ per year on its website/engine. Website cost (9,000€) to amortise over 3 years, which is 3,000€ per year. Plus Profile on Tripadvisor, 2,650€ per year. If we add all of these costs we get 18,170€, which over a production of 200,00€ is a cost of 9% on the direct sales cost through the website. Costs are necessary, of course. It’s also acceptable that some costs are bigger than others. Getting different clients costs different amounts. What we are saying here is that the measurement should be done correctly. With these considerations, next time that a sales rep or an account manager describes the “low costs” of his attractive proposal, take out the calculator in front of him and ask him the uncomfortable questions that we have posed on here. He won’t know what to say. After, when he’s gone, study your proposal and contrast it to what it would bring you, taking into consideration what you would have remaining from other channels and, especially, in comparison to all those other cheaper initiatives that you rejected for years for being “too costly”. You will find that they are not as costly as you first though. At Mirai, we could put forward a few of them for you. 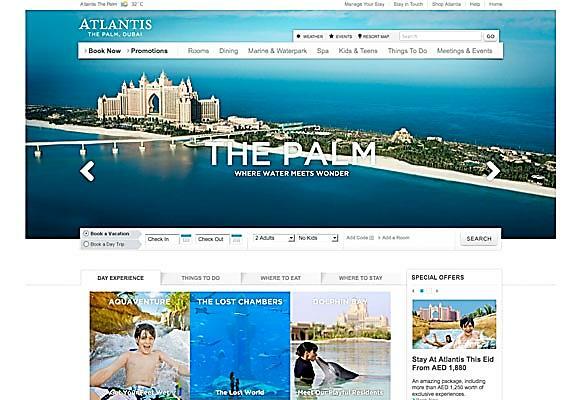 What is TripAdvisor instant booking and how does it work? Realmente interesante y útil. Muchas gracias! El informe es buenísimo, para mi gusto solo tiene un pero. Solo sumáis el costo del Comercial en el punto 9 y da a entender que corresponde a las agencias de viajes. Entiendo que, si existe, debería sumarse en todos los casos, y si no existe, en ninguno. El costo a través de Agencia de Viajes es la comisión, que va desde un 10% a un 14% en el mejor de los casos. Debería de separarse el punto 9 en dos diferenciados. Muy buen artículo, excelente para abrirle los ojos a los hoteleros, pero discrepo en el punto 10 (venta directa), ya que el costo de la propia web, del SEO y del hosting son gastos que no corresponden a la venta. Si el hotel no hiciera venta directa esos costos existirían igual, por lo que no corresponde atribuirlos a la venta directa. Tomando esto que digo por bueno los costos pasarían a equivaler a un 6.8%, sin dudas lo más barato que existe, además con la posibilidad de realizar promociones especiales o de último momento. Gracias Fernando por la aportación. No comparto del todo tu visión. Efectivamente un hotel podría renunciar a la venta directa en su web, plantearla como un mero folleto online y renunciar a su enfoque comercial, pero entonces el coste de dicha web sería ciertamente más bajo ya que bastaría un diseño mínimo y el hosting que es un gasto minúsculo. Si no quiero vender por mi web para qué quiero SEO? Mejor me quitaría ese gasto también. Sin duda hay una cuestión de “atribución” de costes que puede variar y ahí puede haber varios puntos porcentuales de coste metidos. En cualquier caso comparto plenamente que es el canal más rentable y donde los hoteles tienen mucho recorrido para captar venta que ahora les entra por las OTA a comisiones que empiezan en el 20%. Enhorabuena por este fantástico artículo. Quizás para añadir, que creo que el IGIC en Canarias es de un 7%.